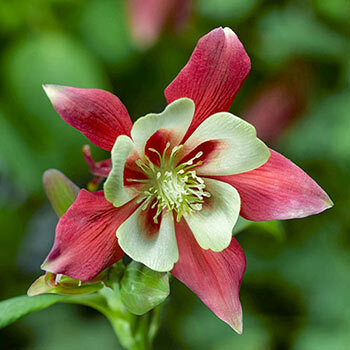 See What Makes Columbine Flowers so Special! This is not your average columbine. The flower form alone makes the Kirigami series something special. Instead of the small, nodding flowers gardeners are used to, these blooms are much bigger at up to 3" across, and face upright. That means you can see all the intricacy of the columbine flower form without bending. Try it in cut-flower bouquets, the pretty red-and-white blooms can brighten up the home just as easily! Show them off in groups along your border, as a sweet container garden feature or naturalized in the shade. 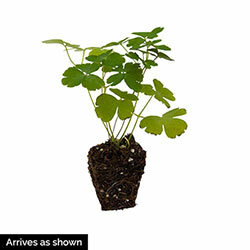 Also, as it thrives in well-drained soil and makes a charming rock-garden feature. Attracts butterflies, not deer.